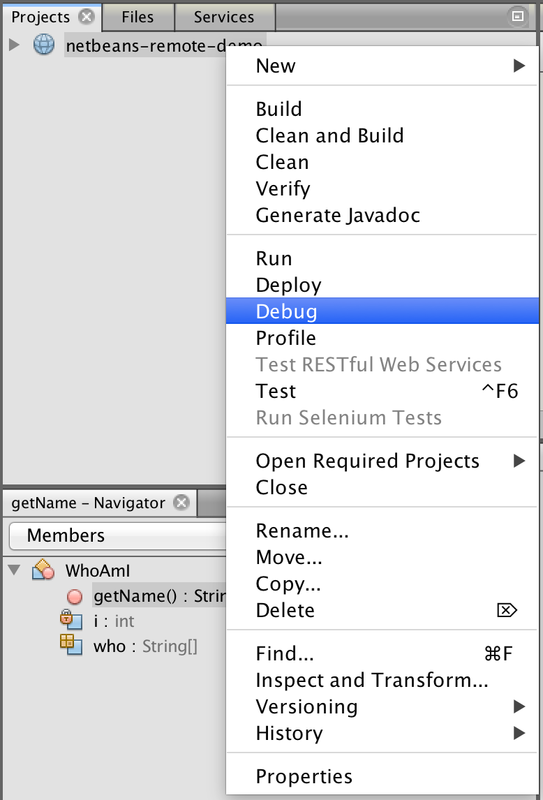 Need to debug your application? 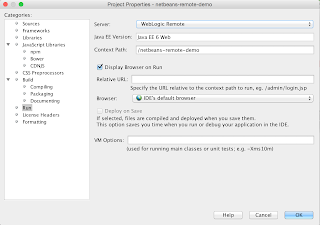 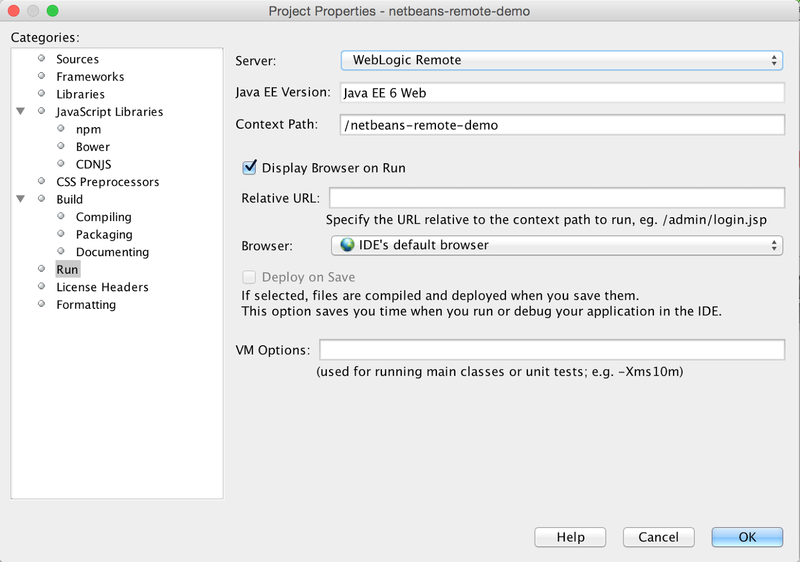 With NetBeans 8.1 (dev) and WebLogic it's very easy to do. 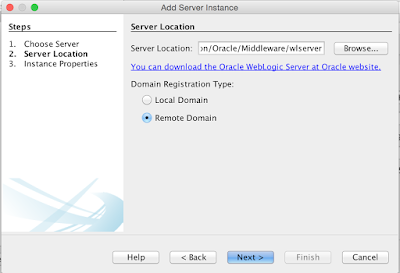 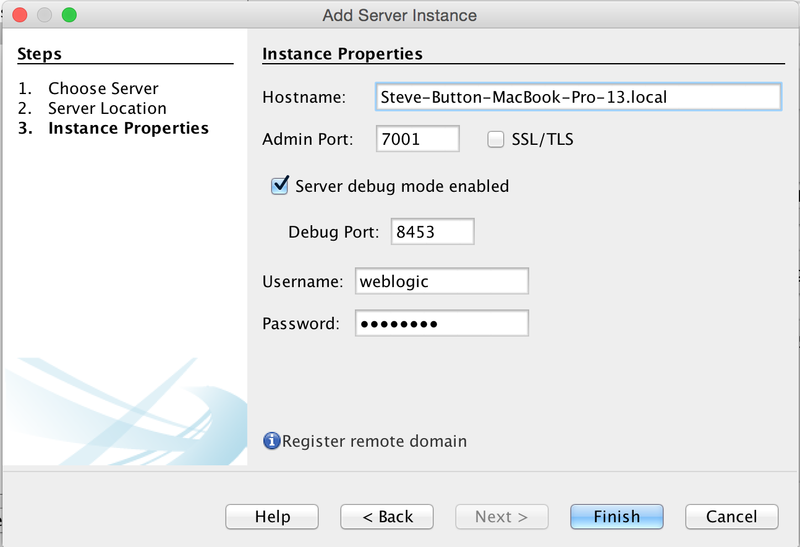 First start your WebLogic server in debug mode. 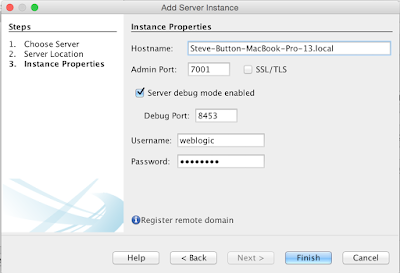 The startup scripts generated for a domain provide an option to start the server in debug mode. 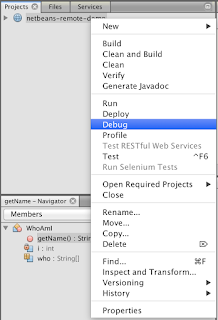 To run in debug mode, set the environment variable "debugFlag" to a value of "true" and start the server. 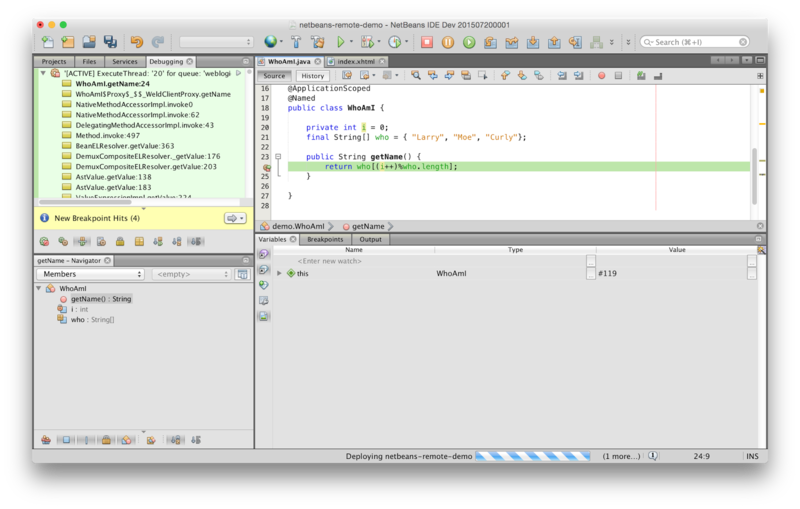 This will build and deploy the application to the WebLogic remotely then open the Debugger in the IDE and connect it automatically to the WebLogic debug port. From here you can use all the standard debug facilities to step through your code, view stacks, instance data and so forth.